DELTATRE delivers Data and Video for the London 2012 "Digital Games"
London 2012 “Digital Games” will be powered by DELTATRE. deltatre is set to deliver the most digital, interactive and watched LIVE Olympic Games in sports technology history with robust data and video for European, North American and South American online viewers of these London Games. 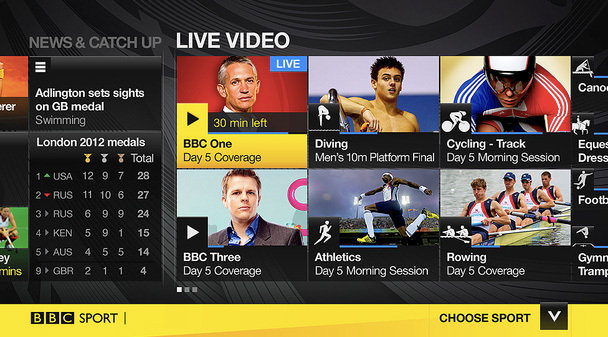 deltatre’s Olympic Results Platform (ORP) has been coded to allow viewers to receive all the 36 sport specific and athletic information. Because the world is more connected to the web then ever before with mobile smartphones and tablets, the timing of the implementation of the ORP is a coup for all fans and sportsbiz partners. Engaging Tennis Hall of Famers John McEnroe and Andre Agassi, plus Claude Okin, Sportime President, led a World TeamTennis (WTT) conference call discussing the matchup between the New York Sportimes and Boston Lobsters on July 19th at the Sportimes Stadium. The WTT is entering its 37th season. John and Andre will square off against each other to raise scholarship money for under resourced youth benefiting the Mac Project. 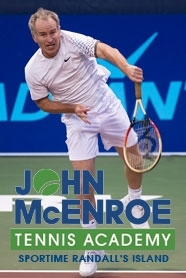 The Johnny Mac Tennis Project (JMTP) is on a mission to find the next John McEnroe. His Academy is expanding from 600 kids on Randall’s Island Tennis Center in Manhattan, to Westchester, and Long Island, in September, 2012. Are Advanced Prosthetics an Unfair Competitive Advantage in Sports? 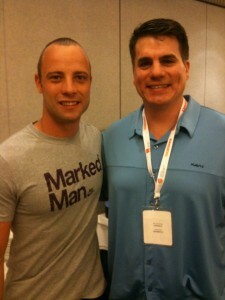 After meeting Oscar Pistorius at the Global Sports Forum Barcelona 2012, Sports Techie asked this question to our first ever guest blogger, Claudia Somerfield, in hopes to better understand this issue from a third party perspective with the Olympic and Paralympic Games in London soon to begin. None of the following blog below is written by Sports Techie, LLC or anyone affiliated with our sportsbiz, therefore, these are not my opinions, they are 100% that of the author. Enjoy!